Carl Court/Getty ImagesSir Vince Cable. LONDON — The Leave campaign won last year’s Brexit referendum because of elderly people “obsessed” with immigration, according to Sir Vince Cable. “Immigration was a massive issue for them though they never actually encountered any,” he added. 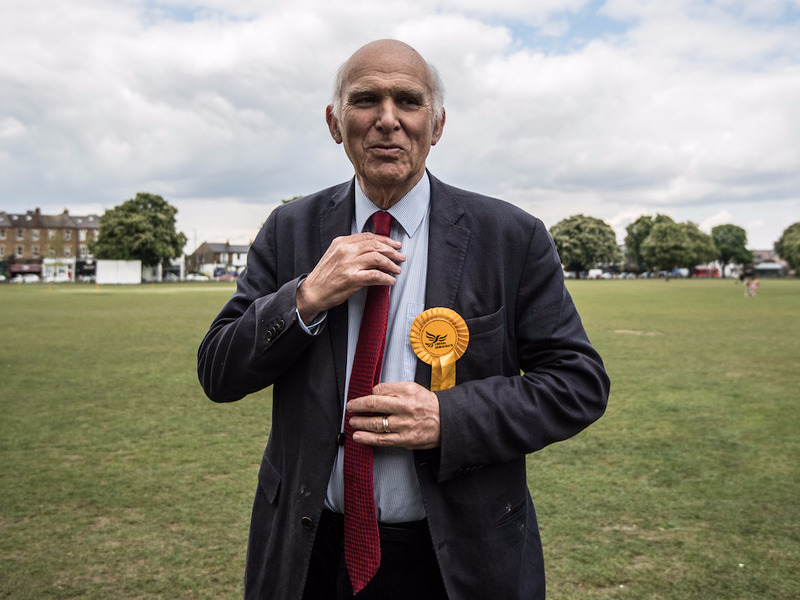 Sir Vince — who is set to be elected new leader of the Liberal Democrats next week — told the lunch that many Brits who voted for Brexit 13 months ago were driven by a “sense of nostalgia” for a country they grew up in which they felt had been lost over time. He added that Brexit campaigners successfully built a winning coalition of nostalgic elderly people in the rural regions of southern England and “bitter” people in northern towns who were hugely concerned with the issue of immigration. Sir Vince reportedly told journalists he believes there is a “very real” prospect of Brexit not taking place as soon as politicians and civil servants realise the complexities of taking Britain out of the European Union. This is a line that the soon-to-be Lib Dem leader has repeated on numerous occasions recently. Speaking to Business Insider at a summit in central London last week, the veteran MP for Twickenham claimed that the majority of British people will soon be against leaving the EU once faced with the “economic impacts” of leaving the 28-nation bloc. The former cabinet minister announced his bid to become next Lib Dem leader last month and is set to be crowned outgoing leader Tim Farron’s successor next week due to no other Lib Dem figures choosing to stand against him.